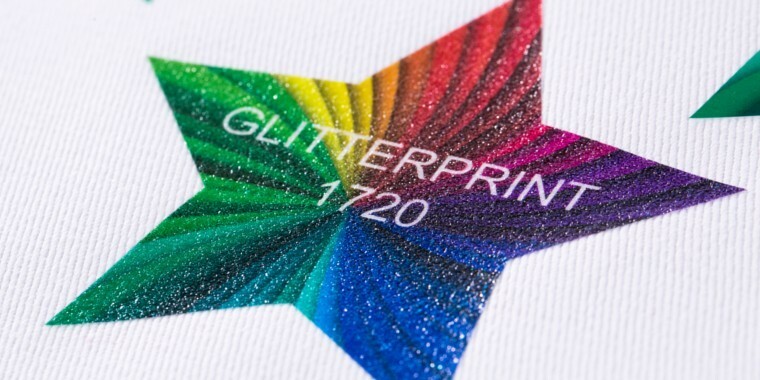 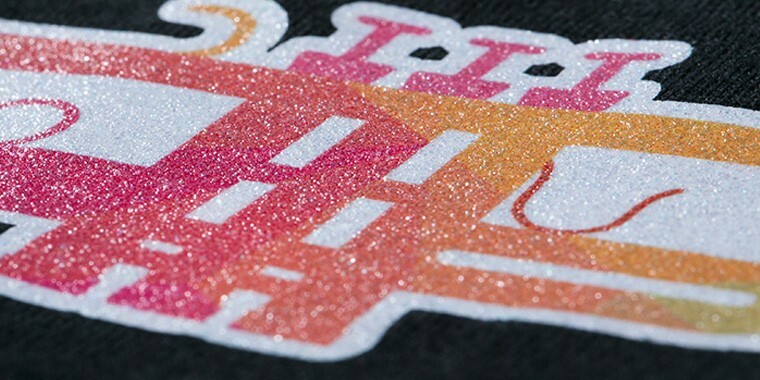 GlitterPrint is a polyurethane glitter media. 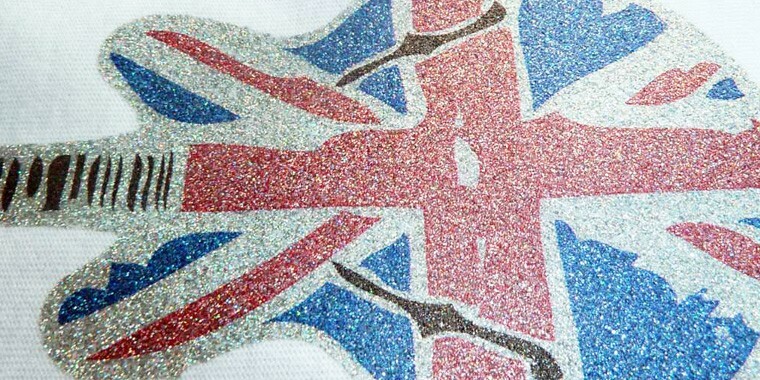 It is white with flecks of iridescent glitter. 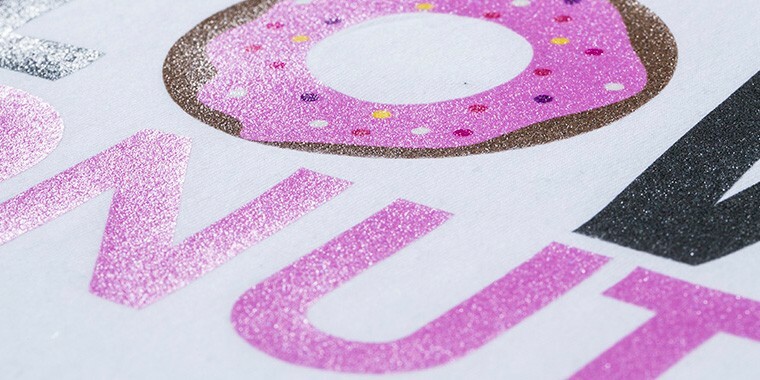 Now you can make any design sparkle!